This entry was posted in News and tagged Accessories, Alloy tray, Steel tray, Fleet, ladder racks, Rear Rack, Ute, Trundle Trays, Aluminium Tray, Ute accessories, Tip Top Equipment, ute bodies nsw, vehicle accessories, alloy trays sydney, trays on March 16, 2018 by admin2. This entry was posted in News on December 15, 2017 by admin2. This entry was posted in News and tagged Alloy tray, trundle tray, Ute, Trundle Trays, Aluminium Tray, Ute accessories, ute bodies nsw, alloy trays sydney, trays, Ute body, Ute Trays, Ute Trays Sydney on April 21, 2017 by admin2. This entry was posted in News and tagged Ute, Trundle Trays, storage draws on May 10, 2015 by admin2. Protect your vehicles today ! Protect your vehicles seats from mud and water damage. Our heavy duty canvas seat covers provide protection from the elements & are made from the highest durable canvas offering both protection & comfort. These canvas seat covers specifically cater for mining vehicles, commercial, passenger & leisure vehicles including vans, Utes, Mini Bus, 4wd & 2wd. 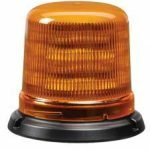 This entry was posted in News and tagged Accessories, Seat Covers, canvas seat covers, Van, Van Accessories, Van Fitout, Work Van, Canvas, Seatcovers, Black Duck, Ute accessories, 4wd, heavy duty seat covers, mine spec, mini bus seat covers, mining vehicle, seats, sydney, Tip Top, Tip Top Equipment, ute bodies nsw, vehicle accessories on April 15, 2015 by admin2. 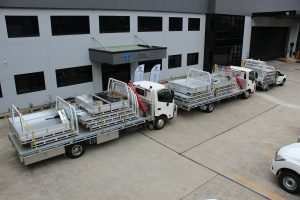 This entry was posted in News and tagged Accessories, Alloy tray, Fleet, racking systems, ladder rack, Rear Rack, Ute, Trundle Trays, Aluminium Tray, Tip Top, Tip Top Equipment, ute bodies nsw, vehicle accessories, alloy trays sydney, carry racks, H Rack, mobile fit, nudge bar, rack, rakcs, series, tradesman, tradesman tray, tradies, tray bodies, tray for ute, trays, ultra, Ute body on March 9, 2015 by admin2. At Tip Top Equipment we can build you a Heavy Duty Aluminium Tray for all kinds of 4wd / 2wd utes and light trucks. Look at our gallery to see the many tray models we manufacture. You can then customise your alloy tray with many high quality vehicle accessories such as our original Trundle Tray™, Rubber Tray Mat, Ladder Racks, Cranes, Toolboxes, Rope Boxes, Work Lights, Canvas Seat Covers. We even can Mine Spec your vehicle with canopy bodies, light bars, Flashing Beakers and reflective colour striping. Most of our trays can be extended in length or higher dropsides built to suit your requirements. 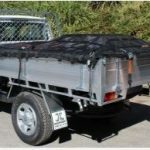 Call Tip Top Equipment today 1800 35 35 95 to enquire about our ute and truck bodies, canopies and tray accessories. 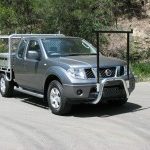 This entry was posted in News and tagged Accessories, Alloy tray, black duck canvas seat covers, canvas seat covers, ladder racks, racks, trundle tray, Trundle Trays, Black Duck, Aluminium Tray, Ute accessories, 4wd, sydney, ute bodies nsw, H Rack, nudge bar, Ute body, canopies, ute bodies, ute body builders, BT50, canvas canopies, colorado, crane, dmax, hilux, isuzu, ranger, toyota on November 24, 2014 by admin2. 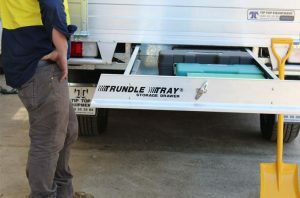 This entry was posted in News and tagged checkerplate, toolbox, Accessories, Alloy tray, Seat Covers, Steel tray, Fleet, canvas seat covers, ladder racks, trundle tray, Van, Van Fitout, Work Van, Canvas, Rear Rack, Ute, alloy, tray, Trundle Trays, Black Duck, alloy trays, Aluminium Tray, Ute accessories, mine spec, Tip Top, Tip Top Equipment, ute bodies nsw, vehicle accessories, alloy trays sydney, series, tradesman, trays, ultra, Ute body, alloy toolbox, alloy tray body, aluminium ute tray, beacon, body builders, canopies, checker plate tool box, cranes, light bar, light trucks, maxilift, mine, mine spec vehicle, mine vehicles, nudgebar & h rack, powder coated steel tray, rope boxes, steel body, tailgate loader, TOOLBOXES, tray body, tray NSW, tray Sydney, ute bodies, ute body builders, euro, led lights, aluminium ute trays, diamond t, Ute trays nsw, work light on November 4, 2014 by admin2. 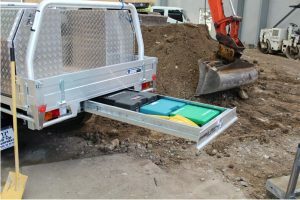 This entry was posted in News and tagged Accessories, bar mounted, Alloy tray, Seat Covers, Steel tray, Fleet, racking systems, Van Fitout, Work Van, Rear Rack, Ute, Trundle Trays, Aluminium Tray, mine spec, ute bodies nsw, alloy trays sydney, series, tradesman, ultra, Ute body, beacon, mine, ute bodies, amber rotating beacon, euro, led lights, lights, mine bar, van lights, vehicle lights, work lights on June 17, 2014 by admin2. Tip Top Equipment's Heavy Duty Alloy Tray for Utes - loads of vehicle accessories perfect the tradesman who likes to stand out in the crowd! 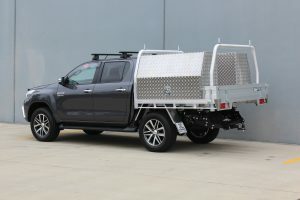 This entry was posted in News and tagged toolbox, Accessories, bar mounted, rachet kits, Alloy tray, Seat Covers, Steel tray, Mesh headboard, Fleet, canvas seat covers, ladder racks, trundle tray, Van, Van Fitout, Work Van, Canvas, Rear Rack, Ute, alloy, Tonneau Cover, tray, heavy duty tray, Trundle Trays, Black Duck, Aluminium Tray, Ute accessories, mine spec, Tip Top, Tip Top Equipment, vehicle accessories, tradesman, tradesman tray, tray for ute, trays, Ute body, alloy toolbox, alloy tray body, aluminium ute tray, beacon, body builders, canopies, checker plate tool box, cranes, light bar, light trucks, maxilift, mine, mine spec vehicle, mine vehicles, nudgebar & h rack, powder coated steel tray, rope boxes, Series 3 Ultra, steel body, tailgate loader, TOOLBOXES, tradies tray, tray body, tray NSW, tray repairs, tray Sydney, trays for utes, ute bodies, ute body builders on April 2, 2014 by admin2.